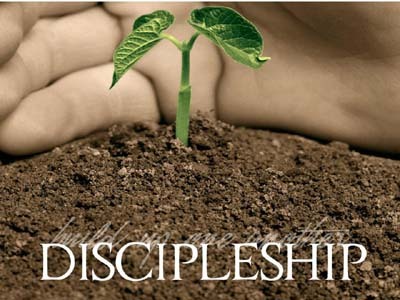 One of the things that really stood as a barrier in my relationship with God when I first came to Christ was a lack of discipleship. I knew I should read the Bible but I didn’t know how I should go about it. The Bible is like an ocean and it is easy to get lost or to feel like you are drowning. Where do you start? How do you grow in your relationship with Christ? Of course, nothing can (or should) replace a mature Christian who walks beside you and Disciples you in the Christian faith. However, many of us do not have that luxury … But on the flip-side, we live in a time where information abounds. We live in the age of a thousand sermons from a thousand pastors laying right at our finger tips. We automatically do a bit of self-discipleship when we read our Bible’s and spend time in private prayer. The goal of being a disciple is to grow in the knowledge of Christ and to be transformed into His image through the Holy Spirit’s work in our lives. Both Scripture and prayer help us to grow in our relationship with Christ for it teaches us what is means to be “Crucified with Christ” and what it means to be “in Christ”. But many of us feel unable to properly study the bible. We don’t feel “equipped” and get quickly discouraged. The Goal of this page is to provide Resources for you so that you can grow in Christ. Don’t sit around waiting for someone to come along and disciple you; actively pursue your relationship with Christ! P.p.s – A lot of people have resources that cover these topics but David Platt has taken a lot of time to put them into compact lectures and so I am going to be utilizing him a lot. If you want more resources by him that are not on here; go here. The importance of knowing God’s Word cannot be overstated. Are you satisfied where you are or do you desire to know more about the God who has loved you in such powerful ways?